2019 SPRING REGISTRATION IS OPEN! SIGN-UP NOW. 2019 WINTER PITCHING CLINIC REGISTRATION IS NOW OPEN. SPOTS ARE LIMITED! 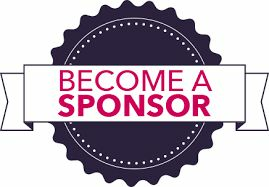 WANT TO BECOME A SPONSOR IN 2019? SEE BELOW FOR MORE INFORMATION ON THIS GREAT OPPORTUNITY! Wildfire Softball is a non-profit organization focused solely on working with girls ages 5 -16. We take pride in saying we are the only softball organization in the West Chester Area to do so. Through our sponsorship program, we offer organizations and individuals the opportunity to support our athletes as they have fun learning to play the game of softball. With over 200 families in the league, we greatly appreciate the support of all our Sponsors. Your donation also helps offset operational expenses for insurance, field fees, umpire costs and replacement equipment. We care deeply about this league and the positive effect it has on the girls who are a part of it. Your sponsorship will go a long way towards Wildfire continuing to do our great work with the young girls in the area. Please consider becoming a sponsor today. Thank you for your support. Please contact Kristina Shuffler with any questions on our sponsorship program. She can be reached at 215-868-6786 or .